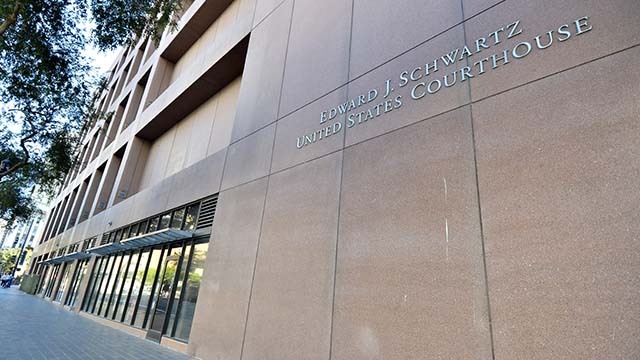 A former Border Patrol agent admitted Thursday in federal court in San Diego to conspiring to distribute the primary ingredient used in the manufacture of the synthetic opioid fentanyl. Cesar Daleo, 48, faces a maximum punishment of 20 years in prison and a $500,000 fine for his guilty plea, according to prosecutors. He is scheduled to be sentenced Sept. 28. Daleo was arrested last August while trying to drive into Mexico with a package that he believed contained the precursor chemical, known as 4ANPP, court records state. Daleo had just picked up the parcel, shipped from China, at a postal facility in San Ysidro. Unbeknownst to Daleo, a U.S. Customs and Border Protection agent stationed at Los Angeles International Airport had intercepted a package from China a few weeks earlier and discovered that it contained 4ANPP. Federal agents replaced the chemical with a harmless substance and waited for someone to pick it up at its destination in San Ysidro. When Daleo did and then headed to Mexico, he was intercepted by law enforcement before crossing the border, according to the U.S. Attorney’s Office in San Diego. As part of his plea, Daleo admitted taking part in a plan to distribute 4ANPP, picking up packages at the San Ysidro mail center and being paid to transport the parcels to Mexico. Daleo also conceded that some of the parcels contained a substance that could be used to manufacture illegal drugs. Daleo faces a separate indictment for allegedly conspiring to smuggle protected sea cucumbers and sea horses.